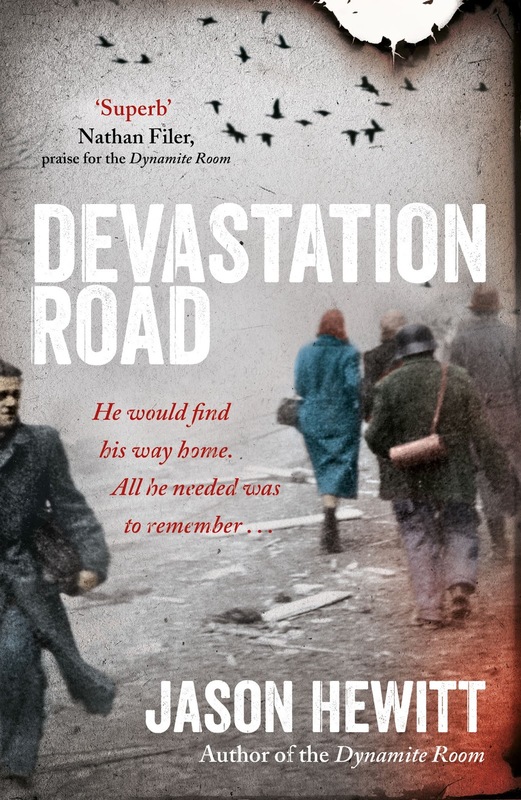 Devastation Road is Jason Hewitt’s second novel after his incredible debut, The Dynamite Room, which was one of my favourite books of 2014. 1945 and this novel tells the tale of a soldier waking up, alone in a country field and his journey to put his memory and his life back together again. Caught up in the final days of the Second World War he finds unlikely friends in Janek, a Czech freedom fighter and Irena, a young single mother. They come together in their joint quest to find new homes or return to their old ones…if they’ve survived. Jason Hewitt is a master of writing characters that you instantly fall for, whether they’re likeable, damaged, brave or weak, you feel for them every step of the way. This trio is no exception and have simply solidified Jason Hewitt as one of the favourite authors. This was the only novel that had me in tears this year and I was bereft when it ended. 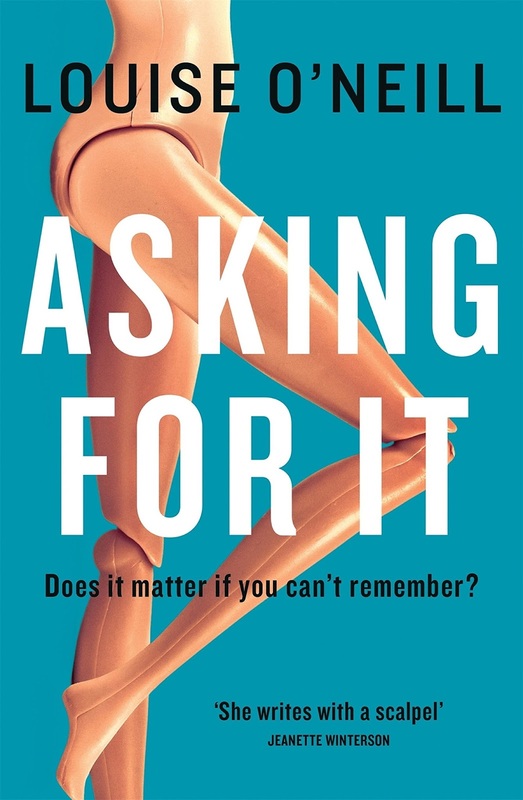 Asking For It by Louise O’Neill is the hardest hitting YA novel I’ve ever read and although the subject matter is massively uncomfortable to digest, that makes it all the more important. Following eighteen-year-old Emma after her sexual assault at the hand of a number of her male friends is revealed with photographs through a Facebook page, you’re witness to how a confident young lady is beaten down by the abuse and the mistrust of the people around her. It’ll leave you with a lump in your throat for weeks and I have a feeling it’ll stay in my mind far longer than that. 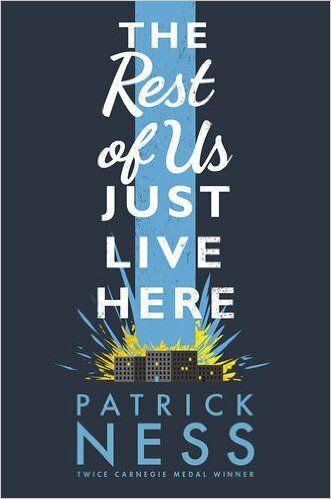 The Rest of Us Just Live Here by Patrick Ness is the first novel I’ve read from the much-loved YA author *hangs head in shame* but it most definitely will not be my last! Mikey and his best friends are trying to get through the day-to-day trials and tribulations of life as they approach graduation and just hope the school doesn’t blow up…again. But when the ‘indie kids’ start disappearing, zombie deer attack and people’s eyes start to glow blue, they know something serious is about to go down. The Rest of Us Just Live Here is fast, fun and fabulous. Ness manages to create some brilliant down-to-Earth characters and throws them into some insane situations and somehow makes it all flow beautifully. Now I just need to read his entire backlist! 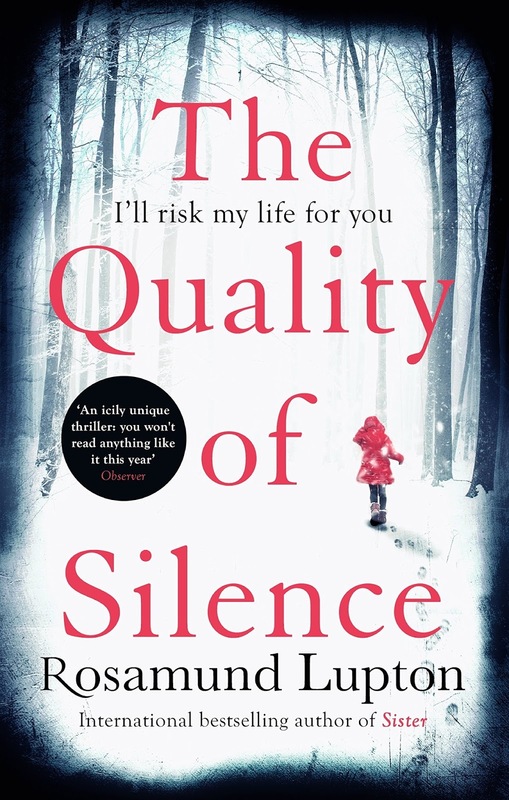 The Quality of Silence by Rosamund Lupton is the wintry tale of Yasmin, her ten-year-old deaf daughter, Ruby and their search for Matt, their husband and father. After being told Matt has died in a catastrophic fire in a small Arctic village, Yasmin refuses to accept his death and takes Ruby on a trek into one of the harshest environments in the world to find her husband. Two incredibly strong female leads and a setting as brutal and dangerous as the Arctic make this a great read but it’s the twists and turns that make it excellent! 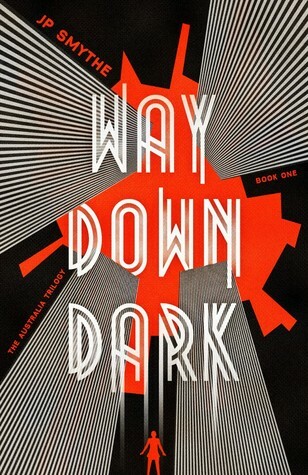 Way Down Dark is J P Smythe’s (James Smythe) debut YA novel and with this first in a fantasy trilogy, he completely nails it! The novel opens in 1970 and the brutal attack of a teenage girl and follows a number of characters for the seven years that follow. Each character was touched by the attack in some way, whether they heard the shot, was friends with the victim or is a journalist researching the girl’s Father. 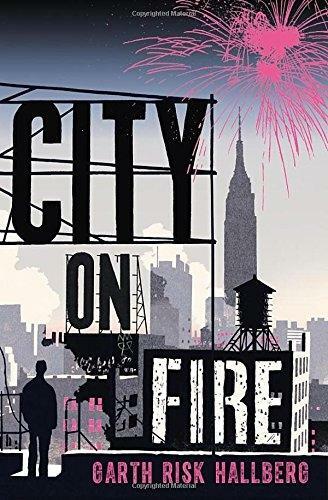 At over 900 pages long City on Fire is not so much a book as a lifestyle choice but the first half of this novel is so painfully good that I just couldn’t tear myself away from it. The second half is overly padded and the finale lacks a certain punch but the setting, the class divide, the beautifully constructed characters and the way Hallberg just pulls you in means it was still one of my top reads of the year. 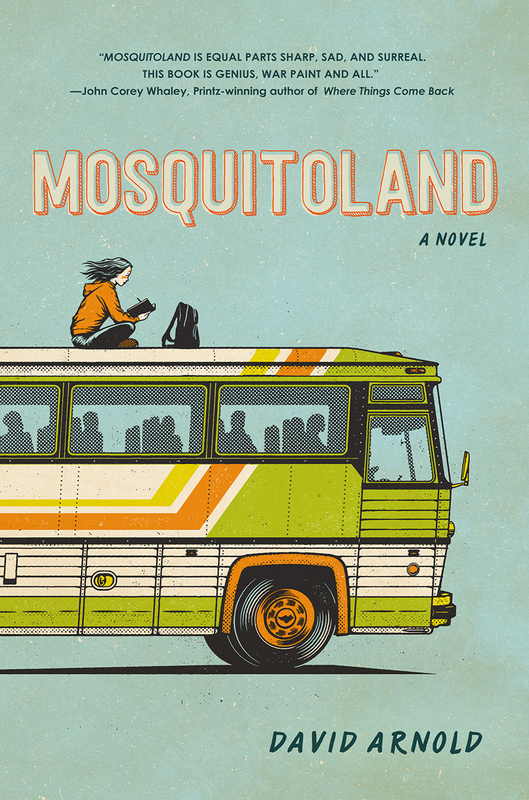 Mosquitoland by David Arnold is an absolute gem of a YA novel. Mim Malone accidentally overhears the principal of her new school and her Father discussing how ill her Mother is and she bolts from the school and starts the 1,000-mile journey across American, back to her old home. Along the way, she meets all sorts of weird, wonderful (and creepy) characters and decides the quirks that she’s been trying to repress, hide or medicate might not be as bad as Father thinks. This novel is a collection of contradictions, it’s fun but serious, silly but smart and thought-provoking yet easy to read. 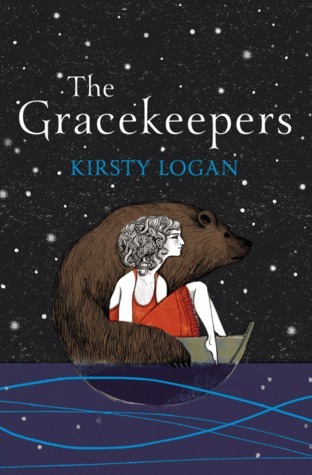 The Gracekeepers by Kirsty Logan is beautifully and accurately represented by probably my favourite book cover of the year, it’s just as fairytale-like and magical as it appears. North travels the flooded world with the floating circus and her beloved bear that she performs her daring act with. She hides a secret within her stomach that would tear the circus troop apart but she won’t be able to hide it forever and when she meets the gracekeeper, Callanish, the girls are drawn to each other and they wonder how their lives could change. 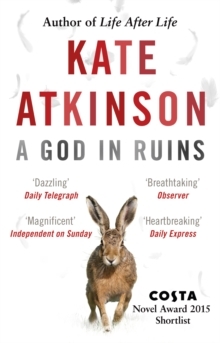 God in Ruins is Kate Atkinson’s highly anticipated follow-up novel to the incredible, Life After Life. Instead of a prequel or a sequel, Atkinson tells the life story of the lovable Teddy, Ursula’s brother in Life After Life. Teddy’s life feels dauntingly mapped out as a young man, with plans to marry his childhood sweetheart and a job lined up at the bank he leaves his everyday life and travels across France and UK, working the land wherever he can. When the Second World War breaks out he feels he’s found his calling and joins the RAF. Flying above the burning cities of Europe he may have avoided the trenches but the war still changes his life forever, impacting his life years later as a Father and a Grandfather. What can I say? Kate Atkinson did it again! God in Ruins is a book to read, cherish, keep and read all over again. Being able to return to the family home of Fox Corner was a joy and to journey through some distinct periods of time through two sets of eyes makes for fascinating reading. The fact the Teddy skims over a day that changes Ursula’s life forever made my heart bleed. You can read this novel as s stand-alone but why would you? Read Life After Life and A God in Ruins and you’ll be loathed to return to everyday life. 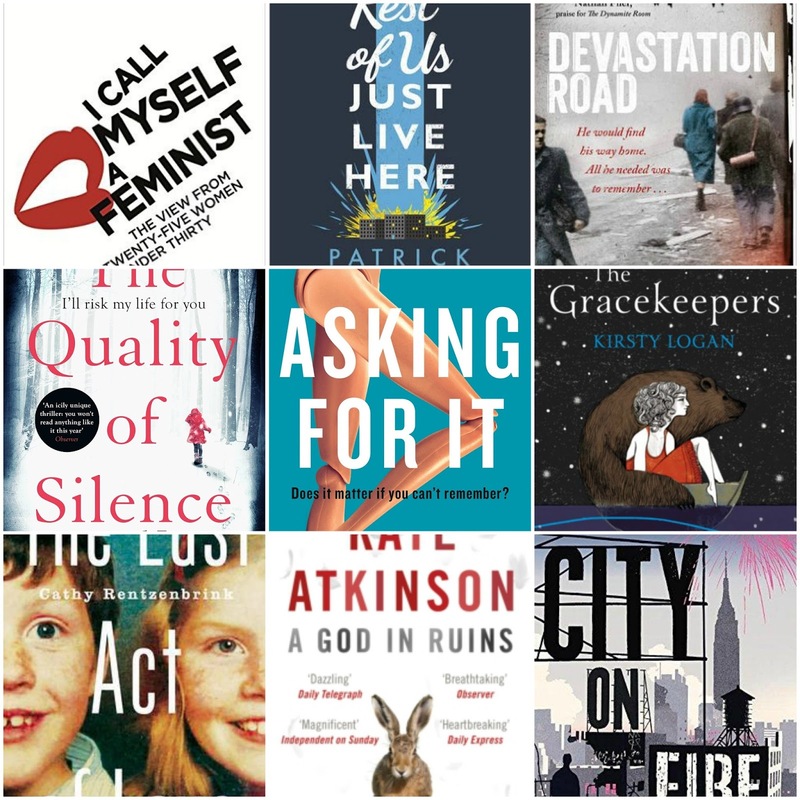 Most of my non-fiction reads have been feminism based this year and I Call Myself a Feminist stood out among them. 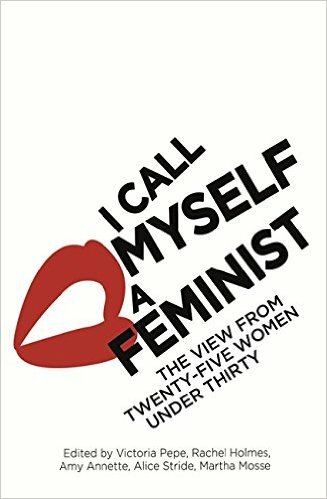 This collection of 25 essays of varying length from women under thirty is an inspiring call out to take back the word feminist from everyone who has made it an insult and a slur. Each writer comes from a different background and has different experiences to share, misguided attempts to ‘fit in’ or not ‘be a downer’ are shared as much as positive actions. These great women will leave you pondering on what the word feminist means to you and how making you’re own small stands can make a huge difference in your life. 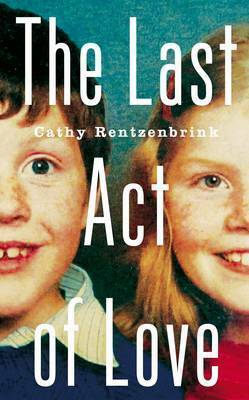 The Last Act of Love by Cathy Rentzenbrink is a book I just can’t review. There are no words I can put together that accurately describe how moving Cathy’s book is. In 1990, Cathy’s brother Matty was knocked down by a car and while she and her family wished for his survival, the following eight years forced them to make a harrowing decision. This story is utterly devastating but Cathy’s wonderful way with words and lovely personality shine through the pages of this book, carrying you with her from the darkest depths and up to create someone uplifting and beautiful.